Never Forget Anything Before Leaving Your House Ever Again! What is iTrack GPS Finder? The iTrack GPS Finder is a revolutionary technology that sets an alarm should an item you hooked this into gets out of range. It even tells you it's precise location with the use of smartphone! How awesome is that? Imagine the peace of mind and the security you will get from this device. And not only that! This item got a whole bunch of other features! 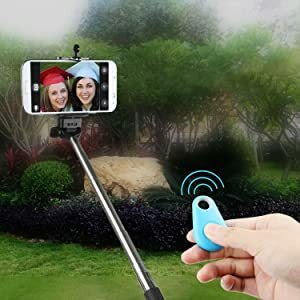 When the device is in connected mode, you can use the iTracker as a Selfie Remote Control. Perfect for photo opportunities without someone being left behind. 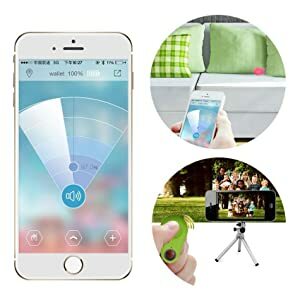 This device works two ways as you can also locate your smartphone using your iTracker. With a press of a button, your smartphone will alarm guiding you where to find your phone. No more worries of misplacing your valuable item. Just place the iTracker inside your compartment and can forget that it is there. Using your smartphone app, you can locate the location of where you park your car. You will never wander too much in the parking lot anymore! Max working distance: ~75 ft.
You know that feeling when you are on your way out the door and you have no keys... NO MORE! love it! What a great item, LOVE IT! 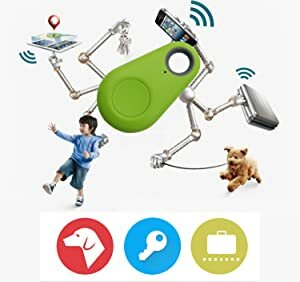 It is perfect for quickly finding phone and keychain in a house. Also, love the remote photo function, easy to make selfies, timed photos, family pics. You can take great pictures with this and it always with you on you keychain which is great. Also, the price is unbeatable! This little gadget is wonderful! I work with community corrections and monitor people on house arrest with the newest GPS bracelets. While working I have always thought that I need to have a similar system for my puppy. However, the size of the transmitters are very large. This tags is the perfect size to attach to their collars. It was very easy to download everything to my Android cellphone, so now when I take the puppy to the countryside to run off leash, I have the added security knowing that if they don't come back when I signal them to, I can look on my cellphone and see where they are. This is peace of mind for me and I truly appreciate this technology. I order these about 2 weeks ago, and received them quicker than the estimated time for delivery. 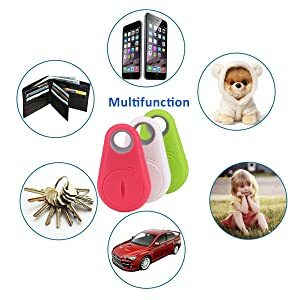 I put them on all of my family's keys and my wife's and daughter's purses (they seem to always be misplacing these, :D Since then, We have used them a few times to just see how well it works, and my wife actually lost her tracker unit when it wasn't secured properly to her purse. She was able to retrieve the tags without any problems. We are quite happy that this product performs as well as advertised.